It can be easy to forget the fact that when we drive, we are operating heavy machinery often weighing many tons. Our sometimes casual attitude towards driving can lead to distracted driving, which can include cell phone usage, applying makeup, eating, drinking, smoking, socialization with passengers, and more. All of these actions may seem harmless and every day because “everybody does it”. They may seem harmless, that is, until distracted driving leads to an injurious accident. At The Law Office of Chamlin, Rosen, Uliano & Witherington, our personal injury attorneys represent clients who have been injured in car accidents, truck accidents, bicycle accidents, or any other type of accident which was caused by a distracted driver. We have built a strong reputation by serving clients in local New Jersey communities such as Ocean County, Eatontown, Ocean, Red Bank, Freehold, Wall, West Long Branch, Long Branch and the greater Monmouth County area. If you or a loved one has been injured in an auto accident due to distracted driving, you can lean on our extensive experience to protect your legal rights. Call our office for a free and confidential consultation today regarding your distracted driving motor vehicle accident, your resulting injuries, and your potential personal injury claim. In order to recover full and fair compensation for your injuries resulting from a distracted driver, our Monmouth County attorneys will first need to prove that your accident was the fault of another party. In an ideal situation, we would have evidence that the at fault party was breaking New Jersey state law as outlined in the previous section. However, it is often times more complicated. Distracted driving is most commonly related to cell phone usage, but it can also include eating, drinking, smoking, rubbernecking, reading, writing, socialization with other passengers, usage of heads up displays, and any other actions which could serve to divert the full attention of the driver from operating the motor vehicle. Our attorneys will use witness testimony, police reports, security cameras, and any other evidence to show that the driver was distracted, leading to your injurious accident. Once fault is established, our Red Bank lawyers will also need to prove that your injuries were a direct result of the accident in question. It is a wise idea to seek medical attention as soon as possible in order to not only receive medical care, but also to get an official diagnosis of your injuries. Generally speaking, this should be done as quickly as possible in order to strengthen the connection between your accident and your injuries. The personal injury attorneys of Chamlin, Rosen, Uliano & Witherington have over 50 years of experience assisting New Jersey clients to receive the compensation they and their families need and deserve. We take pride in serving clients in our local communities including Long Branch, Wall, West Long Branch, Ocean, Red Bank, Freehold, Eatontown, Ocean County, and Monmouth County. We are led by the father-son team of Charles Uliano and James Uliano, both of whom have a stellar reputation amongst both colleagues and clients. Charles is one of just 43 New Jersey attorneys who has earned a dual Supreme Court Certification as a Civil and Criminal attorney out of 80,000 practicing lawyers. We believe our accolades speak for themselves, but we are much more proud of the referrals and glowing testimony we have earned from current and past clients. 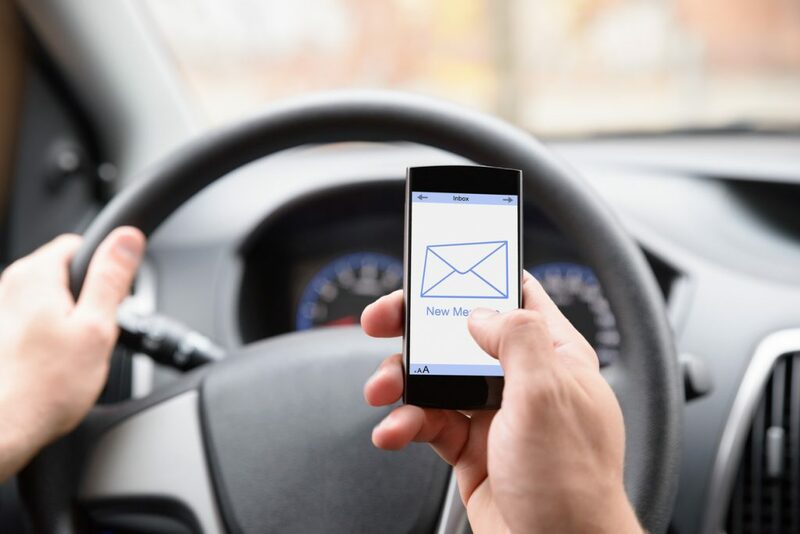 To speak with a member of our legal team in a free and confidential consultation regarding your distracted driving accident and related personal injury claim, contact us online or call our West Long Branch offices by dialing (732) 440-3950 today.